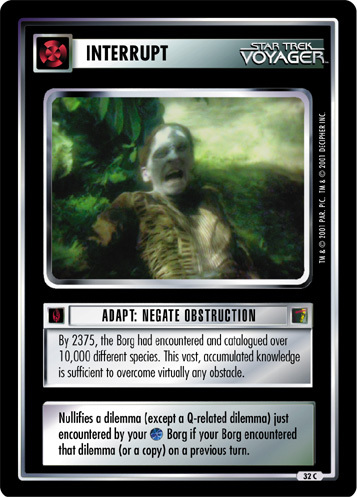 Phased energy weapons are of limited effectiveness against the Borg. After only a few discharges, a hive is able to modify the personal shields of its drones to absorb any further attacks. 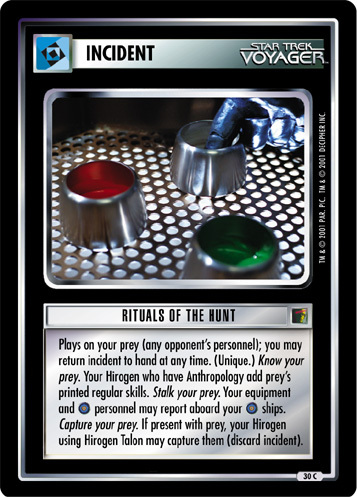 Plays and remains on a phaser or disruptor just used to stun or mortally wound one of your Borg. 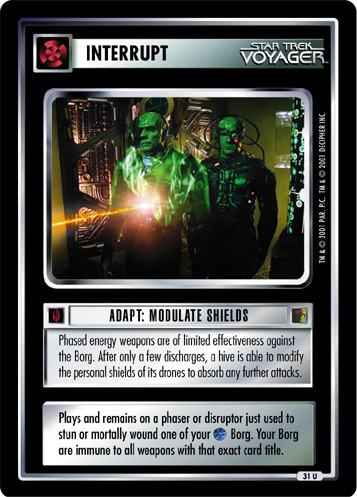 Your Borg are immune to all weapons with that exact card title.